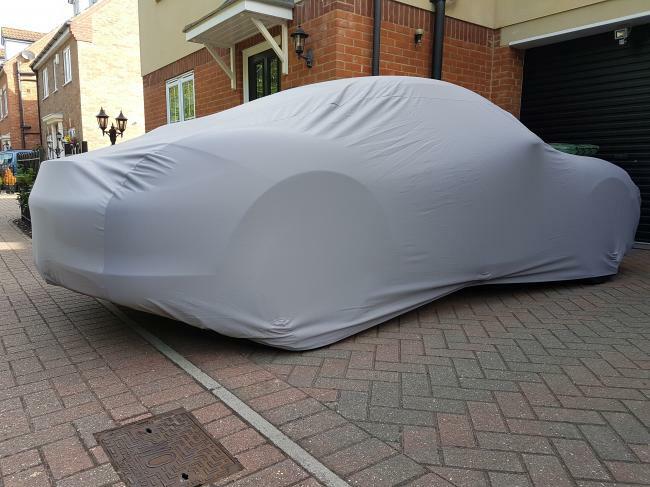 The Classic Additions Ultimate Car Covers are made from a specially formulated advanced Nanotechnology fabric, giving a unique water resistant coating to ensure long term protection and care for your car. 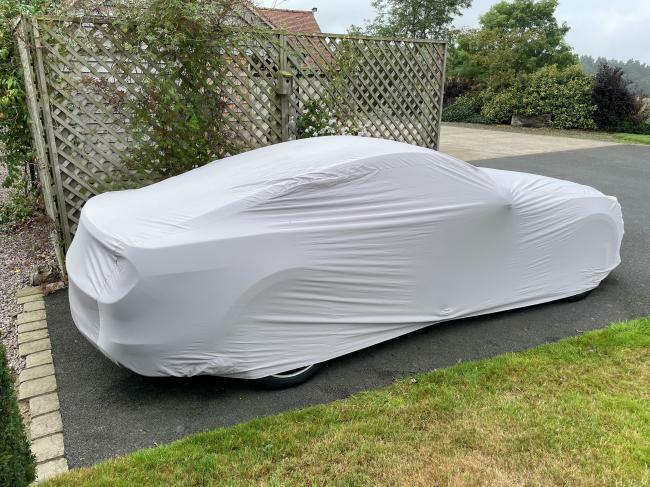 These are the world’s first 'standard fit' car cover available in this fabric with its unique nanotechnology properties. This cover is manufactured from our most advanced fabric, fully waterproof*, fully breathable, strong and stretchy. The fabric is a little like a wetsuit, making them extemely soft on the inside and extremely durable. 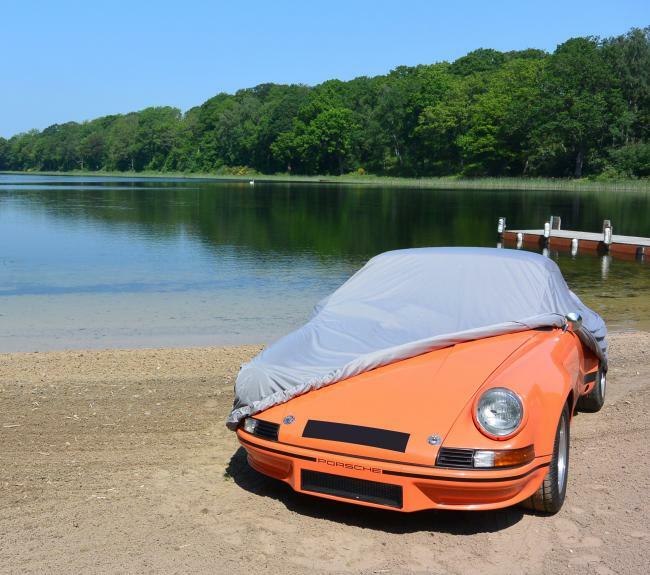 These covers offer all of the benefits of the Custom Made Ultimate Car Covers but at a more affordable price. The covers are available in 13 sizes designed to fit a wide range of cars. 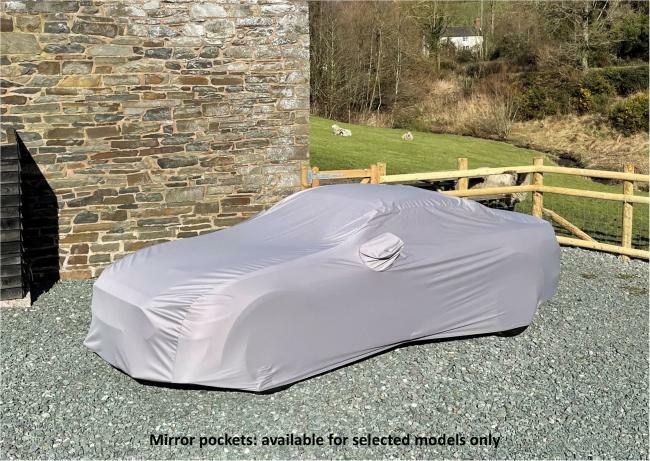 Manufactured in a discrete grey colour these car covers are suitable for use both indoors and outdoors. The Ultimate Outdoor covers have three sets of fully detachable straps underneath to help secure the cover, one at each end and one in the middle. Please note - at certain times of year when the air temperature fluctuates often, you will find that any outdoor car cover won't stop condensation forming on the car. 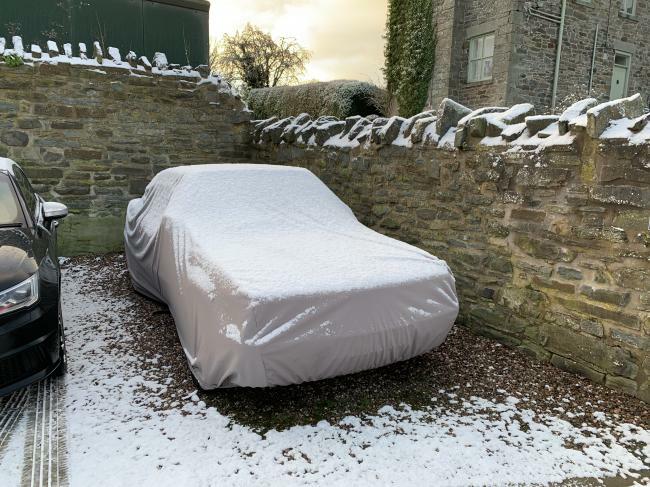 The cold bodywork of the car will attract condensation to form due to the microclimate within the car cover, however these covers are fully breathable, so as the temperature equalises this will evaporate through the cover. These Ultimate covers are part of our standard fit range. If you want to use your cover for transportation, we would recommend using a trailer net to help secure the cover down. You can see these here. If you have any questions as to whether this cover is suitable for use on your car, please see the specifications tab or do not hesitate to give us a call - 01938 561717. Need a cover custom made for your car?